Katie Nelson was always very close with her kind, loving stamp collecting father. Now she sadly awaits the day that he will not recognize his only child as his memory fades away in a nearby nursing home. When Katie discovers his cherished collection, she brings it to Benjamin, a local stamp expert. Together, Katie and Benjamin are determined to learn the history behind a mysterious stamp on an unopened letter from WWII era, found amongst the many stamps her father collected. Each step of their journey brings them closer to the history of this famous stamp engraver, his apprentice Kristoff and his disappearance during Kristallnacht. The story is narrated between two voices from two very different times - Katie in 1989 and Kristoff in 1938. This magnificent story comes alive with love, friendship and decisions that will change their lives forever. 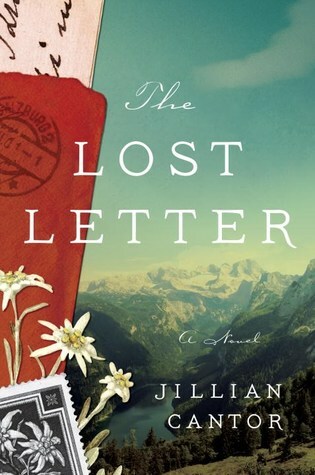 Author Jillian Cantor grabs the reader in the first chapter and does not let go. Filled with small love stories, the terror of WWII, a lesson on philately and even a mystery to solve. This is the perfect summer read to take you away on a journey you will not soon forget. Highly recommend this fabulous new read!